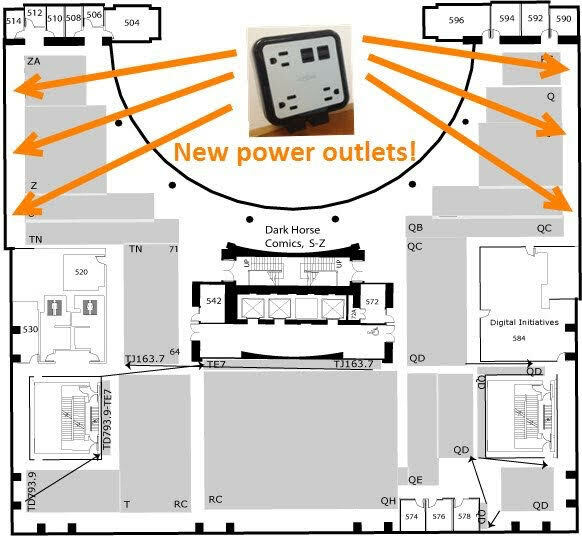 Thanks to the staff of the Library Technologies, it should now be easier to charge your laptop, phone, and other electronics when you are studying in the Library. The newly-installed boxes provide three power outlets and four USB charging ports. The new outlets are mounted on study carrels along the north and south walls of the Library’s third, fourth, and fifth floors, towards the front of the building. What if you forget your charger for your phone? Stop by the Circulation Desk on the first floor, where you can borrow a bag full of chargers. We hope this saves you some time in searching for power. Good luck on finals!